THE SHOOTER® has been specifically designed to simply and reliably put liner in the ground and for over two decades has done just that. THE SHOOTER® has been used extensively throughout the United States and Canada, as well as in South America, Europe, and Australia. Inverting with air is fast, and curing can be done through the steam cap while freeing THE SHOOTER® for another run or directly through the unit. Durability in the design and construction. 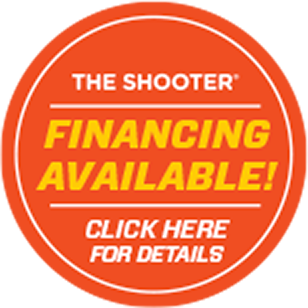 THE SHOOTER® is the right choice for contractors desiring the best continuous air inversion machine and is an investment for current and future work. Most of the original Shooters are still in regular commercial use many years after they were first purchased. They are built to take the rigors of the jobsite, and designed to be efficient, user friendly, and long lasting. The body and the hand truck separate for easy transportation. An automated lubrication system evenly coats both sides of the liner while protecting the operator from overspray. A knife gate prevents air loss after the tail passes for the second half of the install. Two sizes of air/steam valves are provided on the front while hand access ports are located on the back for any manipulation of the liner. A tool bin is conveniently located above the oil reservoir. THE SHOOTER® can be operated vertically over the manhole or at an angle next to it. Supplied hookup nozzles offer a range from 6” to 12” and 9” hookups are available for those in the UK, as well as 4” hookups for smaller diameter work. Patented LIPs seals are adjustable to various liner thicknesses and provide a better, more robust gasket around the liner than many bladder systems.